It has become free-for-all gutter politics between the ruling party and a few opposition parties. The Prime Minister stepped in to rein in the brigade which was undoing all his good work. But by then, the damage had been done. Captain Gopinath on BJP's silence on the Sena controversy. Captain Gopinath on what AAP must do urgently to recover its footing. When rivers perish so do civilisations, writes Captain Gopinath. An audacious dream made me set up Air Deccan, writes Capt Gopinath. "They must step back a bit and accept their mistakes"
Blog: Has Arvind Kejriwal Lost His Way? His antics may not go down well with the public and could hurt him and the AAP politically, writes Captain Gopinath. Captain Gopinath on why the AAP story is not over. Captain Gopinath on the big BJP win. Missing the PM's dinner is inexcusable, says Captain Gopinath. 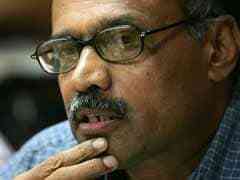 The efficient commission may have erred, says Captain Gopinath. Some goals already met, says Captain Gopinath. What went wrong so swiftly for the new party, asks Captain Gopinath.